Recently, Netflix has upped its horror game considerably. This is, of course, thanks to films like Bird Box and Apostle, as well as series like The Haunting of Hill House and American Horror Story. Tomorrow, January 24, however, the streaming giant is finally releasing a new series that will reignite viewers’ love affair with true crime. After the success of series like Making a Murderer, Evil Genius and The Staircase, it became evident that the public had a long-dormant, grim fascination with true crime documentaries. Also, a special shout-out must go to American Vandal, which paid homage to, but perfectly skewered, this popular genre. The fact that these series seem so far-fetched yet were real-life stories just made the viewing even more addictive and hard to believe. Morbid curiosity is so hard to resist, isn’t it? 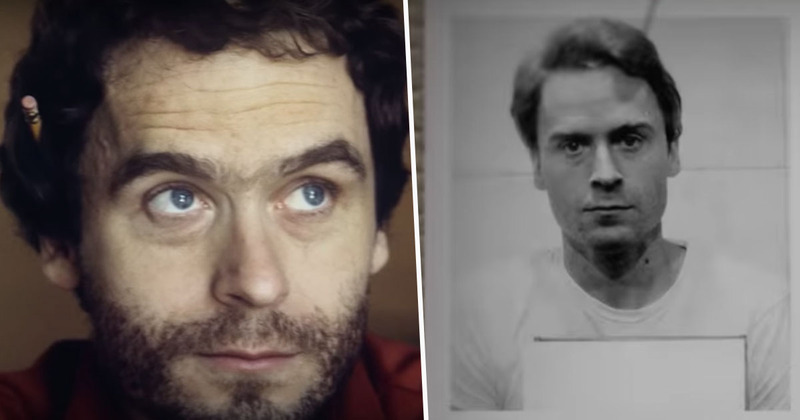 Tomorrow, Netflix will share Conversations With A Killer: The Ted Bundy Tapes, which is sure to pick at everyone’s morbid curiosity once again. Ted Bundy was one of America’s most notorious serial killers. He assaulted and murdered a number of young women and girls in America in the 1970s and, before his execution, he confessed to 30 homicides, which he committed across seven different states between 1974 and 1978. It is feared, however, that the real number of victims is much higher. Tomorrow, January 24, marks 30 years to the day since Bundy was executed by electric chair. During his time on death row, Bundy participated in a number of interviews with Stephen Michaud and Hugh Aynesworth, two investigative reporters, in which he spoke openly about the details of his crimes and his thought process during them. The serial killer reportedly spoke mostly in the third person, in order to avoid ‘the stigma of confession’, according to Michaud and Aynesworth’s book, Ted Bundy: Conversations with a Killer. The new series will be constructed around these ‘confession’ tapes, and use interviews never before heard by the public, to shed new light on the killer. There were reportedly over 100 hours of never-before-heard audio interviews with Bundy. The four-part series will also look at Bundy’s two escapes from prison, as well as the media frenzy surrounding his trial, and the women that became infatuated with him. The documentary series has been created by the Emmy-winning documentary maker Joe Berlinger, who has also directed a feature film chronicling the life and crimes of Ted Bundy, called Extremely Wicked, Shockingly Evil and Vile. The feature-length film will premiere at the Sundance Film Festival this year. It stars Zac Efron as the serial killer, and is told from the point of view of Bundy’s girlfriend, Elizabeth Kloepfer, played by Lily Collins.